General purpose clear acrylic packaging tape designed for sealing light, to medium-weight cartons exposed to minimal manufacturing and shipping conditions. 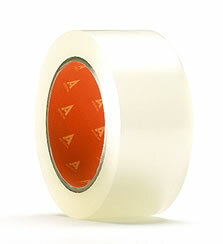 An excellent choice for general-purpose holding, sealing and tabbing applications. Acrylic adhesive delivers excellent quick-stick,adhesion and cohesion in fiberboard sealing applications.